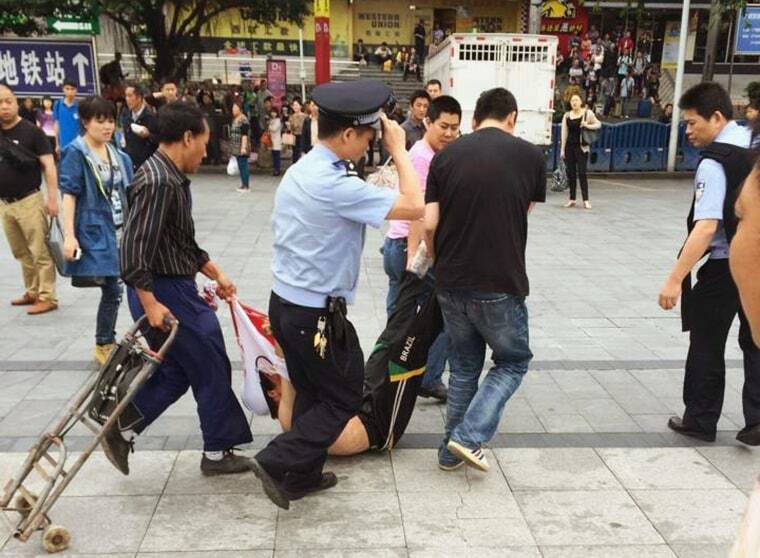 BEIJING - A knife-wielding assailant wounded six people on Tuesday in an attack at a railway station in China's southern city of Guangzhou, police and state media said, the latest in a series of assaults to raise jitters around the country. Just last Wednesday China blamed religious extremists for a bomb and knife attack at a train station in Urumqi, the regional capital of Xinjiang, that killed one bystander and wounded 79. The government called the attackers "terrorists,” a term it uses to describe Islamist militants and separatists in Xinjiang who have waged a sometimes violent campaign for an independent East Turkestan state. Xinhua news agency said that the attacker in Tuesday's incident had been hospitalized, and that police were not immediately able to identify him as he had no documents on him.